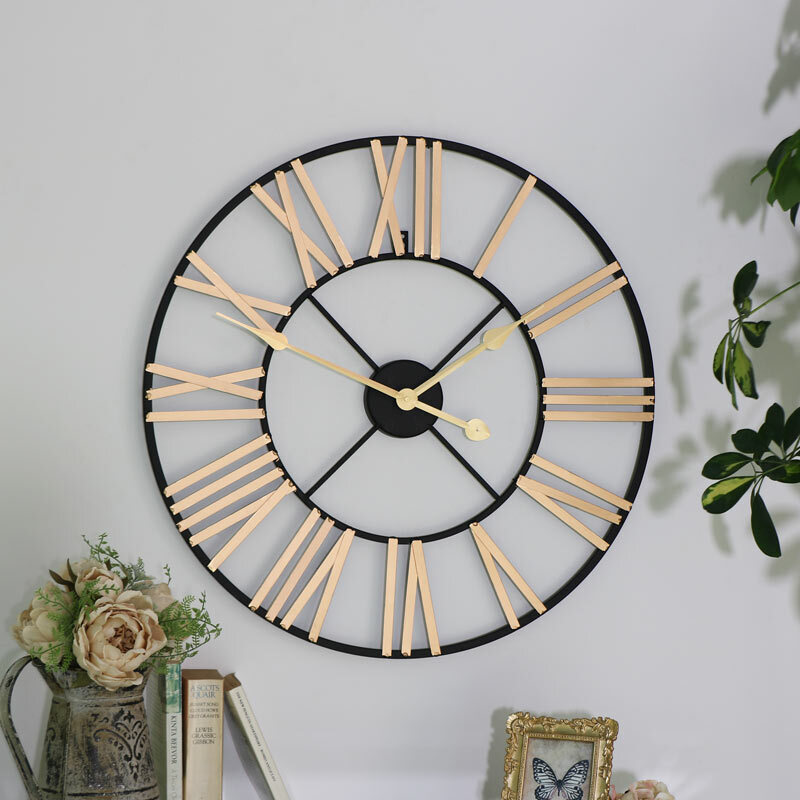 This wall clock is simply stunning. 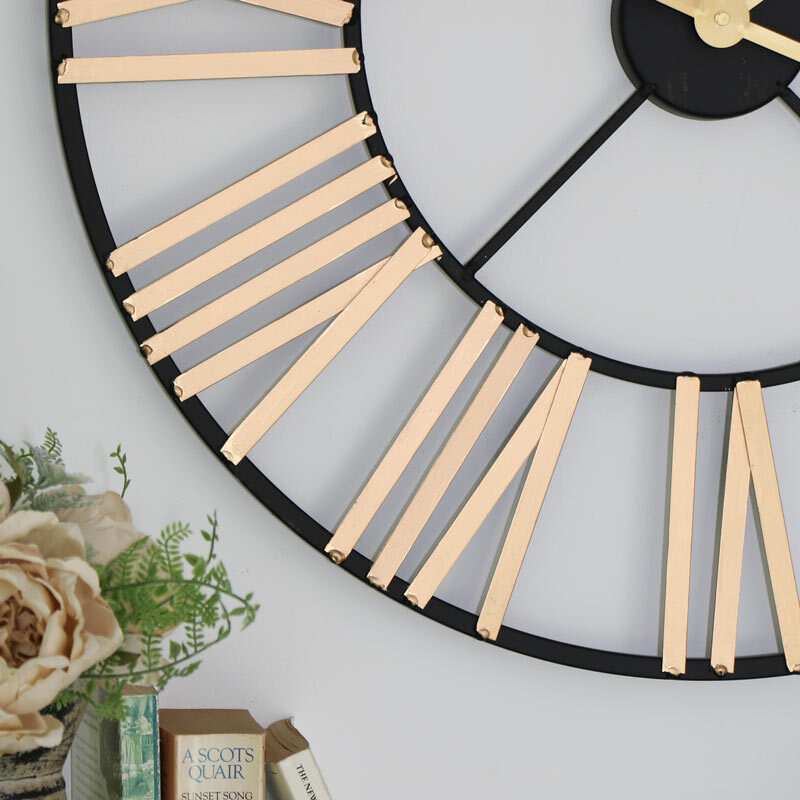 Elegant in black and gold with classic skeleton design, large bold Roman numerals make this clock stand out. A great statement piece, the clock features gold numerals, hour and second hand with a black frame. This will look perfect hung in the living room or hallway. A great addition to our collection of skeleton style wall clocks, more colours and sizes available to suit every decor. Made from metal and painted with a black framework and gold numerals and hands. 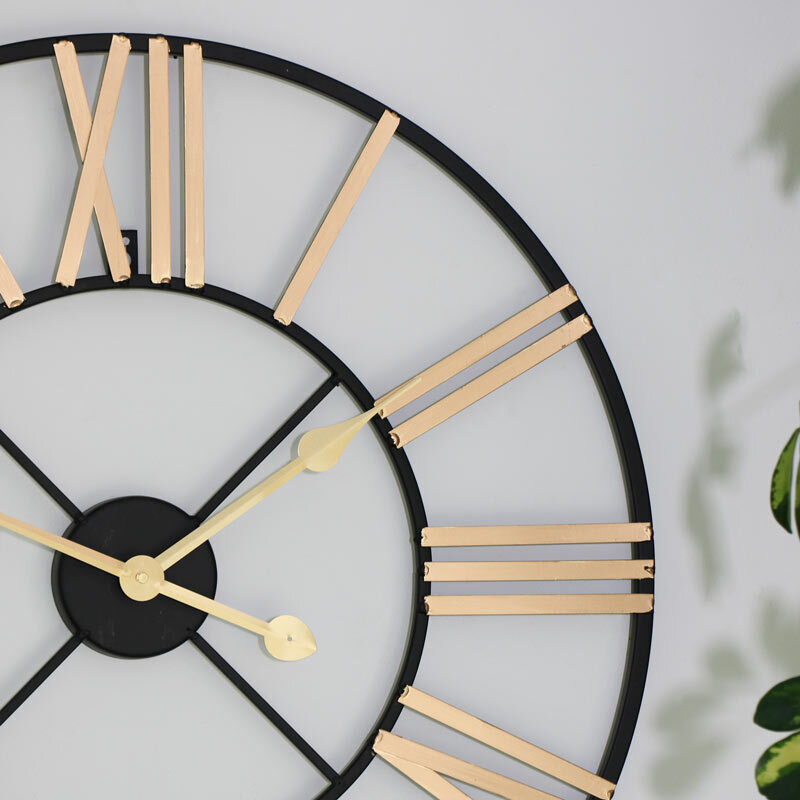 From the timepieces collection, this large black and gold skeletal Wall Clock is made from metal with Roman numerals.